POLL: Do You Believe Bill Belichick Didn't Know About "Deflategate"? Cast your vote. We'll reveal the results at 9 p.m. 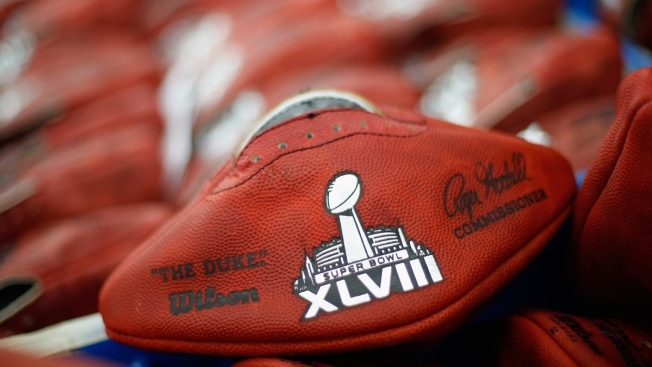 In this file photo from January 19, 2014, a football waits to be stamped with the opponents names for Super Bowl XLVIII at the Wilson Sporting Goods football factory in Ada, Ohio. New England Patriots coach Bill Belichick said Thursday that he had no knowledge of the "Deflategate" controversy until Monday, and that he had "no explanation" for the under-inflated footballs his team used in last week's AFC Championship Game against the Indianapolis Colts. "In my entire coaching career, I have never talked to any player or staff member on football air pressure," said Belichick. "To me, the footballs are approved by league and game officials pre-game." Do you believe Belichick? Or do you think he's lying? VOTE in our poll below. We'll reveal the results in our 9 p.m. news on Thursday. Do you think Bill Belichick is telling the truth about "Deflategate"?